Yeah, good job. IIRC there's like... a triangle of the chest mapped to the sword or something similar. Too bad about EAs idiotic work on the Yeomen Archers. All of the ideas for changing Forged blades and Heavy Armour sound interesting, (but the modification for swordsmen sounds a bit worrying ). I would imagine that the Rohan peasants and yeomen dont receive Heavy Armour. And the fact that Mordor has no FB or HA upgrades makes sense because they have a massive variety of units, and powerful heroes and their leaderships. Peasants receive HA but no FB. The Men of the Westfold and Westfold Spearmen receive FB but no HA. 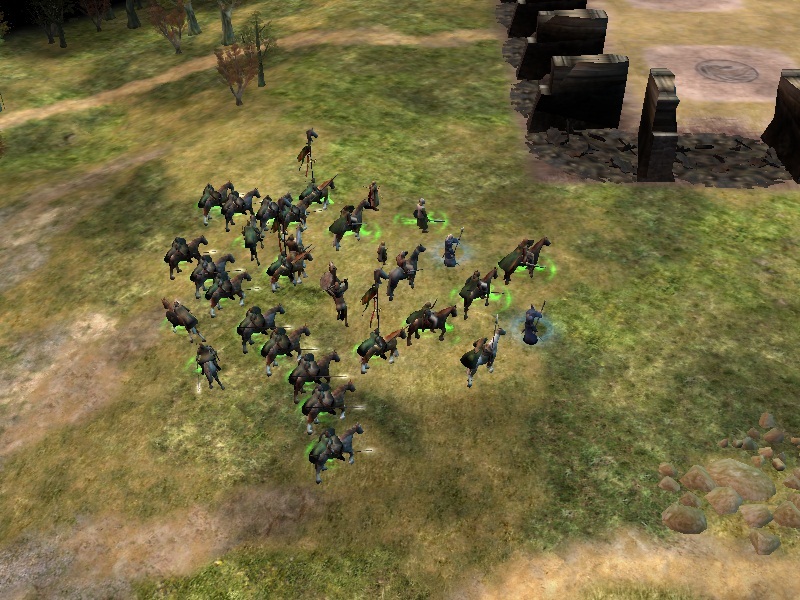 The cavalry and the Elves receive both. The Yeoman get fire arrows but not HA. A bit of a mess but most of that is due to problems with either models or code that wouldn't allow me to give some of the units a certain upgrade. 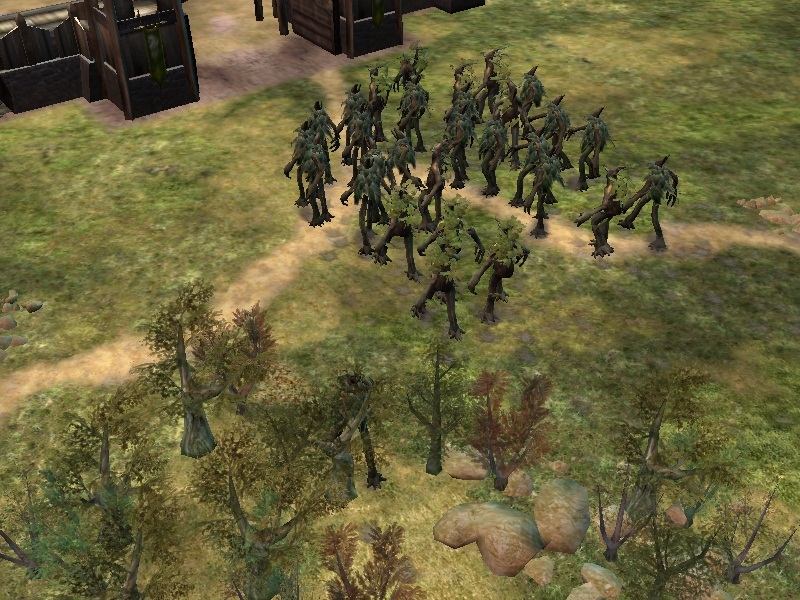 Those Haradrim unit skin are awesome Rohan stuff as well. Is campaign playable? And if so how does it affect the new units, heroes, and powers? The mapping is extremely simple to fix, if you ever want a fixed model just ask. I have it lying around. The campaign is not supported by the mod. It may or may not be playable; I haven't checked that. Even if it is playable though, I doubt it would be balanced. I know, but I was trying to avoid doing any modeling for the units. I didn't realize how bad the yeoman was till I was half way done with the skin and at that point I figured it would be easier to just try to fix it with skinning. Thanks for the offer, I'll PM you about it. I just went through 6 pages of this topic and I have a question concerning the AI. You see, one of my greatest secrets is that I always play on easy difficulty, because of the overwhelming amount of siege weapons that both hard and medium difficulties spawn quite early in the game. The other side of this is that most units will not be built, such as warg riders of Isengard and Rhûn spearmen of Mordor. 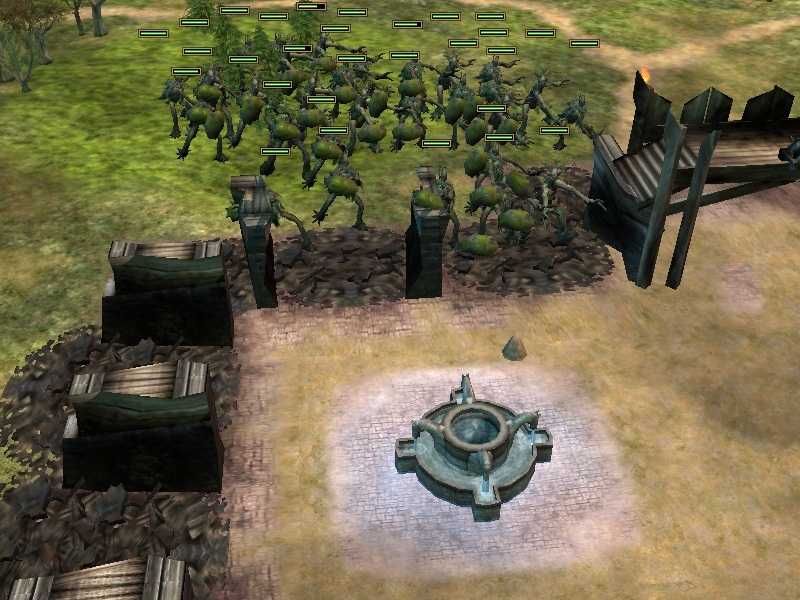 So, will easy AI use all units except siege weapons, or will easy AI use siege weapons etc. etc. etc. I assume that the easy AI will act normally in regard to siege weapons. But I have not tested the Easy or Medium AI's so I cannot say for certain. Wrong. Topic. Take that back to the other topic. I think ai must do units or heros etc etc in easy or medium.Because everybody can not play in hard.For them,u must do ai in easy and medium.Of course it is my opinion.So,you know if u do that or not..
Well, mEasy does, but they will either do 1 hero or a few buildings. Yeah last time me and ringy did a 3v3 and a easy rohan on our side all they made was 1 hero hama and had no money for buildings, then got owned.